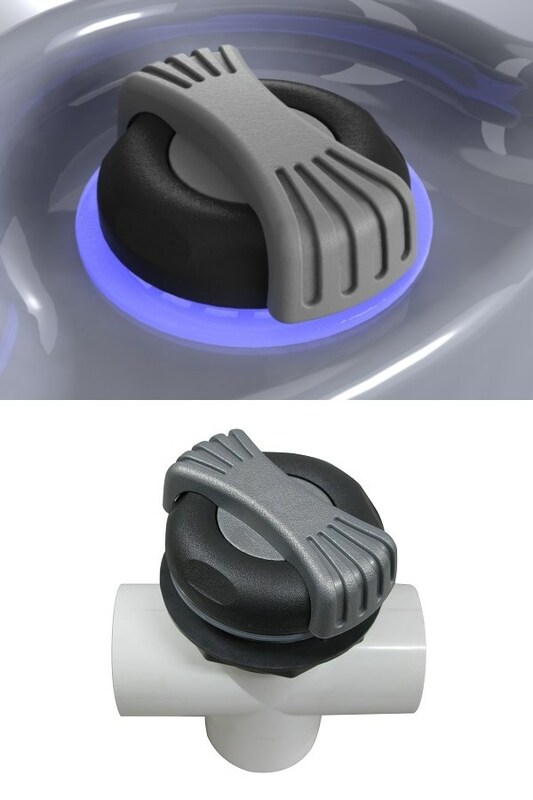 We have different spa air controls, from "shell" handle style to "waterdrop" or your customization is welcomed. Air controls are the knobs on the side of the spa that are used as air intakes. Some spas have several air control knobs, which control the amount of air intake (and thus air output) for a certain group of spa jets, or a particular air manifold. 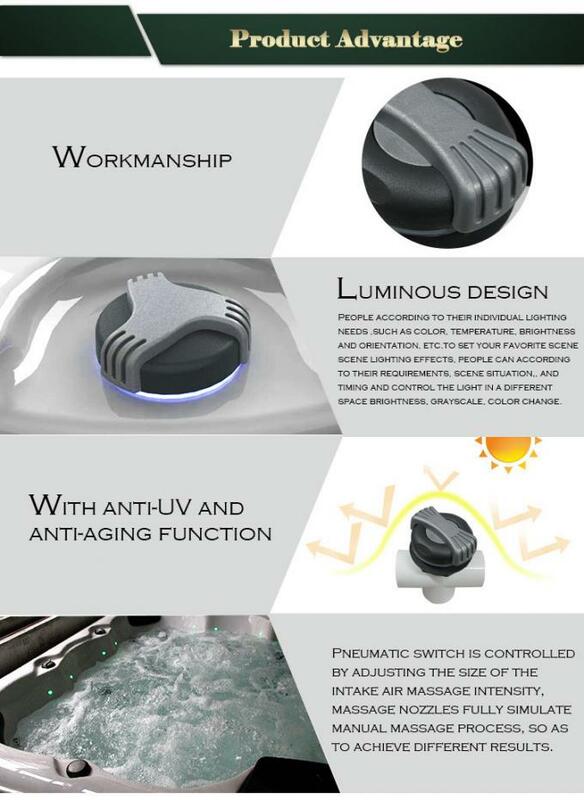 It acts as an air valve, to allow the spa user to dial in the perfect mix of air to the water stream, to increase the action and pressure from the spa jets. 2. Our Engineering Department Guaranty The Design Rationality And Functionality.